Founded in 1904 North Hants Golf Club is a James Braid design that was improved by the legendary Harry Colt in 1913, the course is a superb example of a mature heathland layout with a delightful mix of heather and tall trees bordering each impressively manicured fairway. Measuring 6,550 yards from the back tees, North Hants is a true test of every club in the bag and now enjoys the sort of greens and fairways that only a recently installed irrigation system can ensure. We host a number of Open competitions for elite and recreational golfers and our Society and Corporate packages are renowned as offering tremendous value for money on one of the South East’s finest heathland courses. The Club has enjoyed a fascinating history which in many ways has mirrored the history of golf. A significant moment was the founding in 1957 of the Hampshire Hog which, as a leading event in the amateur golfing calendar, revealed the Club’s existence to a wider golfing audience. The Club has enjoyed the membership of many fine golfers, not least 2013 US Open Champion Justin Rose. 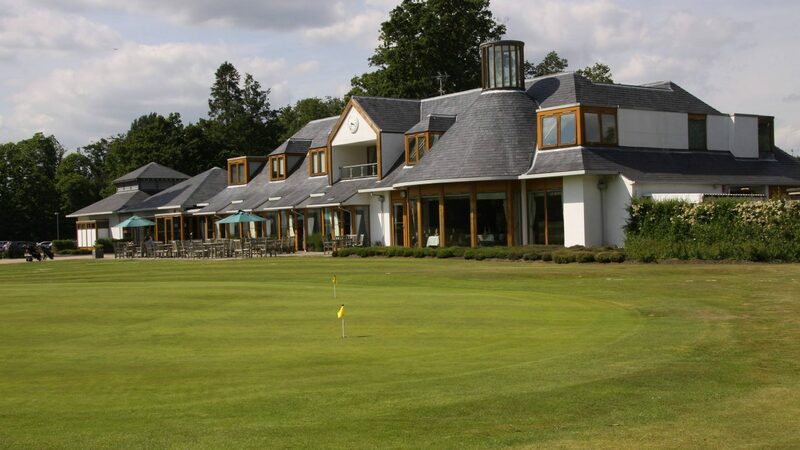 We offer a friendly and warm reception to all golfers who visit the club and are confident our superbly presented golf course and excellent club house facilities combined with our friendly professional and clubhouse staff will ensure your visit to North Hants is a memorable one. 18 and 36 hole packages available with breakfast, lunch and dinner options, freshly prepared on site by our team of chef’s. Packages from £80pp. From M3 north or southbound, exit at Junction 4a and take the A327 to Farnborough. At the next roundabout, take the second exit towards Fleet and shortly after, right at the following roundabout – the A3013 for Fleet. Follow the A3013 for approximately one mile, going straight over (first exit) the first roundabout. At the next roundabout, turn right for the B3013. North Hants Golf Club entrance can be found, almost immediately, on the left hand side. Visitors are very welcome at North Hants Golf Club. Please contact us to arrange a suitable date and time to play. Visitors must all have an official handicamkp and must adhere to the club’s dress code. On arrival at the course please go to the Pro Shop to register. For all enquiries please contact the Professionals Shop on 01252 616655. The Premier Inn located in Fleet is a 10 minute walk from the club. We can also recommend excellent hotels in the surrounding area for your visit. 18 hole course, fully equipped pro-shop, practice ground, practice nets and putting green, modern clubhouse, bar, terrace, Justin Rose meeting room, car park and free WIFI.